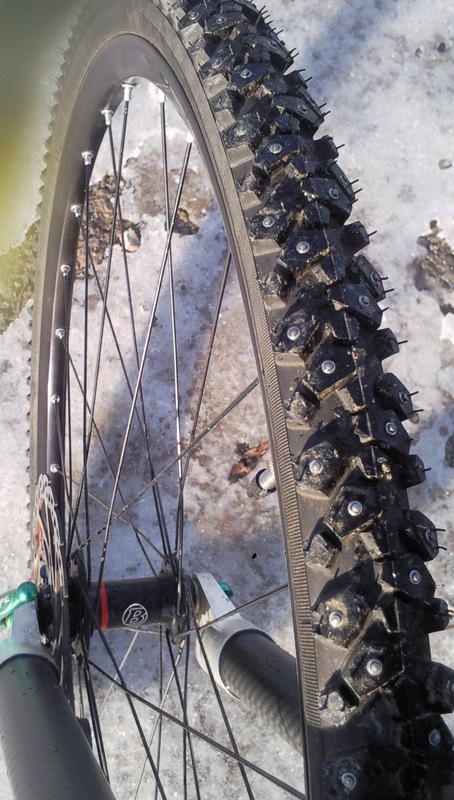 After the disappointing performance of the Schwalbe ice tyres (that were sent back for being crap), I was hoping that the Continental Nordic Spike tyres would be much better, or at least not fall apart, roll off the rim or be so bent that it actually afffected the handling of the bike. I’m happy to say that they’re great. A bit wider, a bit knobblier (and therefore better in loose/muddy conditions), plenty of metal studs so that I can steer and even brake on ice and basically much better made than the Schwalbes. 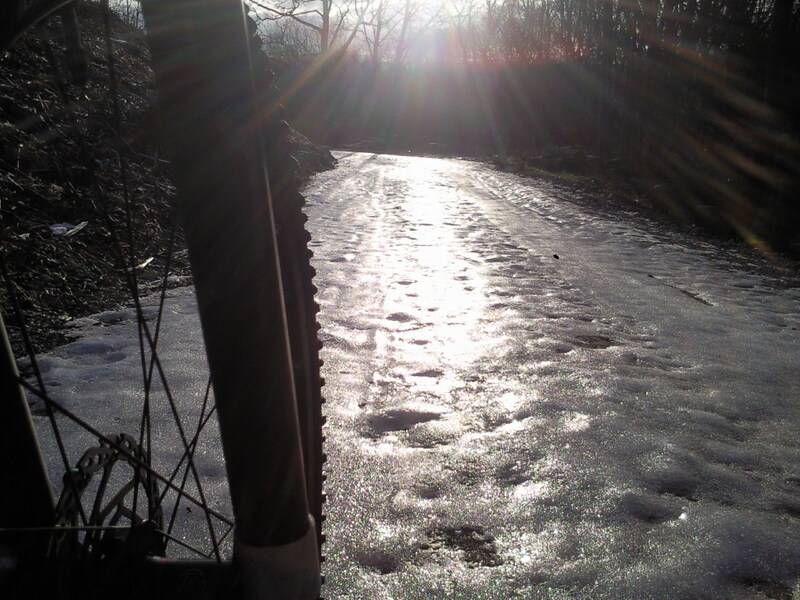 Testing them this afternoon involved riding as much scary ice as possible including one or two downhills where the tyres didn’t break away but they were pretty scary bits all the same. Inside I was screaming. I will be taking your advice and investing in a set of these tyres for my new 29er. I bet this will now be the last icy day we have! I’ve only got them for the Strathpuffer. I couldn’t justify the expense otherwise! They look fab! My one attempt at off-road was a walk. I think I am going to have to go riding on main roads for a while! Wonder how long they will last? Guess as long as you only use them on ice they should be fine!